Since the arrival of the steel a few weeks ago, the contractors have made great progress creating the shell for the new Children’s Center. As you can see below, the roof deck is on, the interior wall framing is up, and the HVAC ductwork is in process. We should be dried in completely within a couple of weeks and then moving forward with the interior work. At our beam signing for our new atrium a few weeks ago, many added their names, prayers, and favorite scriptures to a major beam that will be a part of the atrium structure. You can see more below. So, when will this all be done? That is a great question! While we have estimates, our final date is still a moving target until we are dried in. Sometime in March, we will be able to provide more specific opening dates and dedication dates for various projects. In the meantime, click here for our current overall estimated construction schedule. We will continue to provide regular updates about the project. You can access these updates by clicking on “Building Project Updates” from the home page of this website or Building Projects/Building Project Updates from the menu on any page of our website. If you have any questions, please email buildingquestions@fumcallen.org. 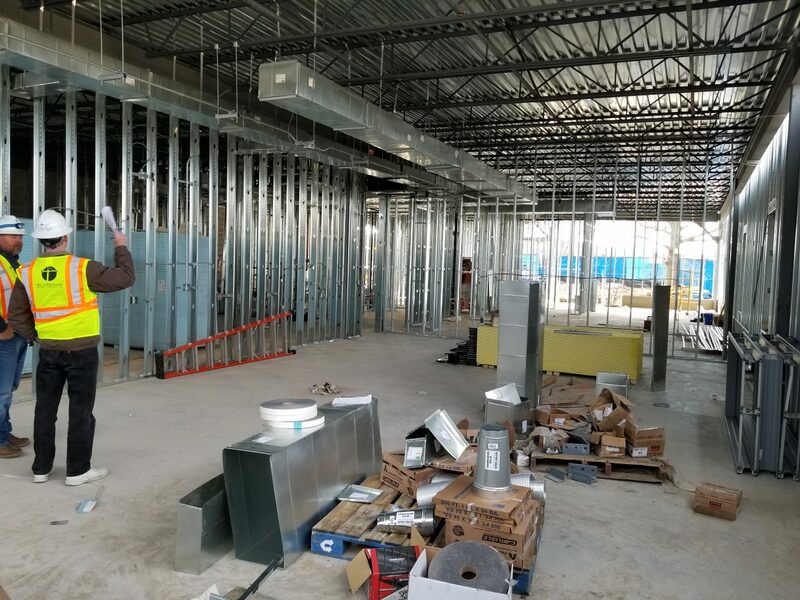 To learn more about our Building Project and see what the new and improved facility will look like, click on any of the pictures below.